Join us at our Glenville, NY Art Studio (just 20 minutes from Saratoga) for our fun & educational Art Club Classes! Join us in the art studio every week for Art Club! 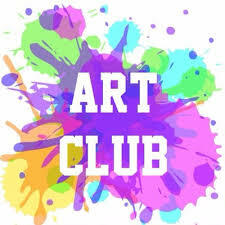 What will you find at Art Club? Each meeting we will focus on learning about an artist, culture, art history movement, sculpture forms, or just learning art techniques with a new medium. We will complete a project in each session, inspired by the topic of the week. This will be a wonderful chance to cultivate a young creative community of art makers! Art Club is about understanding art and having fun making it! Purchase the full month of classes for less on the first week of the month!! *Purchased classes cannot be carried over to subsequent months. Please arrive around 5 minutes early to ensure a prompt start time. Please check in at the door upon arrival. Art in Mind reserves the right to cancel due to low enrollment or emergency situations. We will notify you if this occurs and refund accordingly. *If you must cancel with less than 24 hours notice we can only give store credit. We cannot issue refunds for non-showing registrants. The Art Club Single Class Purchase 4/25/19 ticket is sold out. You can try another ticket or another date.